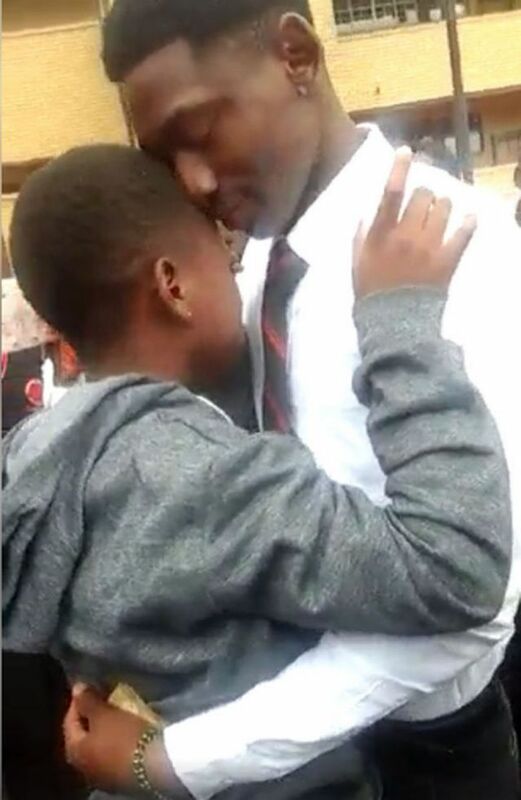 Two high school pupils’ excitement at a marriage proposal on the school grounds captured on video has been cut short. 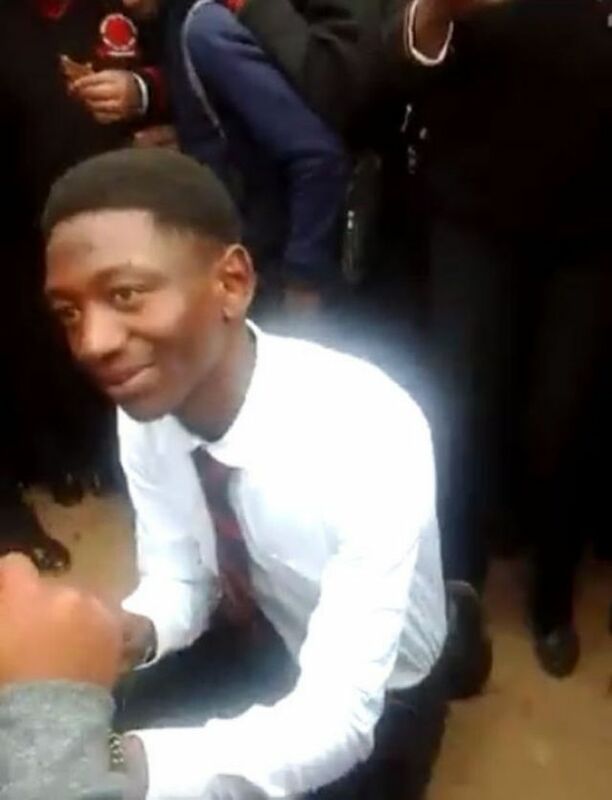 Mduduzi Tlou, 18, proposed to his 16-year-old girlfriend (whose name is withheld because she is underage) at Tholulwazi Secondary School in Tsakane, Ekurhuleni, last week, with the video going viral on social media. 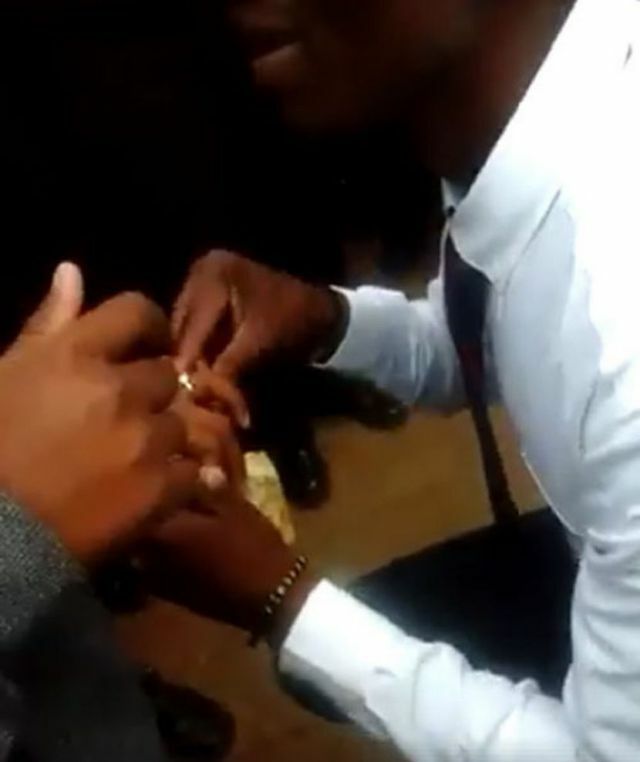 But a few hours after the two got “engaged” in front of cheering fellow pupils, the school confiscated a R2000 ring Tlou had bought for his girlfriend and suspended both pupils. Tlou told Sowetan that they had been dating for eight months. He said he wanted to marry her because she had “changed” his life. “I love her because when I met her, I was an alcoholic and she had changed all of that. “I paid R2000 for the ring. I bought it from Sterns. I had saved money for it,” Tlou said. The girlfriend said she, too, was worried that she was missing out on her schooling. “When they took my ring at school, I wanted to cry. He asked me to marry him and make him the happiest man on earth. We are not going to get married now. We will get married after we both finish school,” she said. The couple’s parents said they were elated by the proposal, however, they were worried by the pupils’ suspension.